I don’t know about you but I’m always having problems with finding a non-greasy SPF cream or emulsion. One of my friends recommended me to try Nina Ricci White Protective Emulsion with SPF 30. 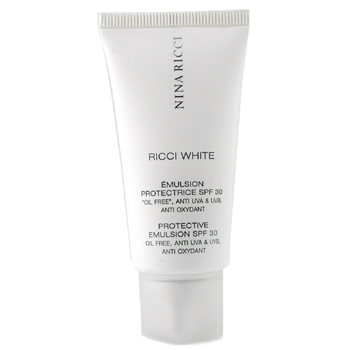 The emulsion has an ultra light texture, suitable for oily complexions. It moisturizes skin without leaving it greasy or shiny.